We have good news, you guys! Our new kitchen cabinets were delivered yesterday, which means our big renovation is starting soon. Eek! Not a pretty picture. But this is our life right now. 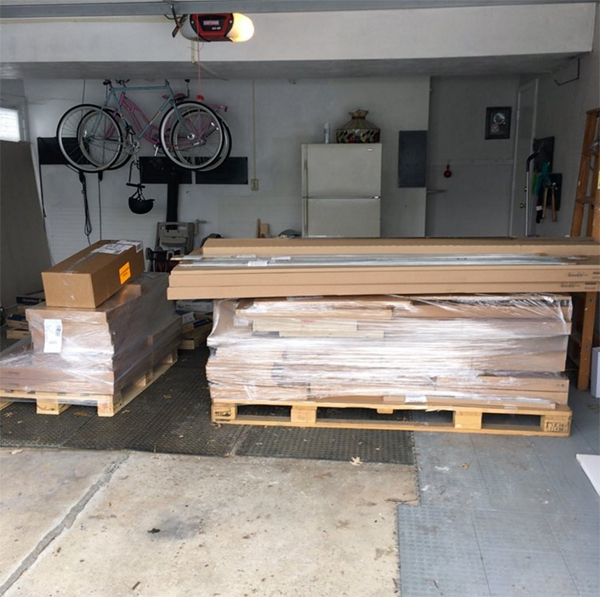 139 boxes of kitchen cabinets and parts — that all need to get assembled. It’s exciting. And stressful. And chaotic. Which you may know by now is the usual state of things around Burritos and Bubbly-Land! So at this point, we have cabinets, floors, hardware, the appliances are ordered, and we still need to figure out countertops, lighting, and probably about a million things we haven’t even thought of yet! Joey Lulu’s Modern, Minimal Nursery!